I used to own a Hollywood Gold grandson, a beautiful buckskin gelding. 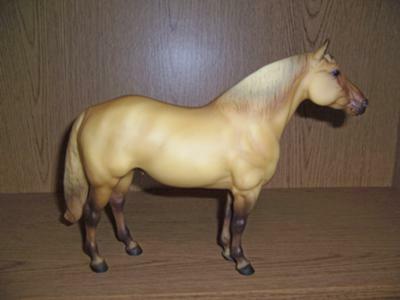 I have several Hollywood Gold models for sale, which are on line, all for sale. This was one fantastic QH foundation stallion.